You feel good. 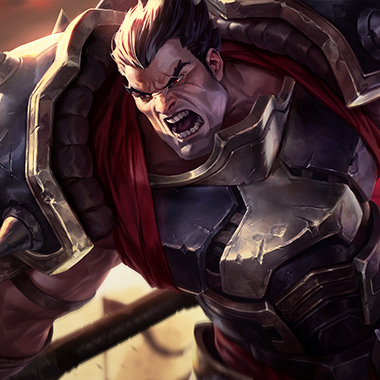 You’ve killed your enemy laner 3 times now, and you feel pretty strong. You feel like you might be able to carry this game! 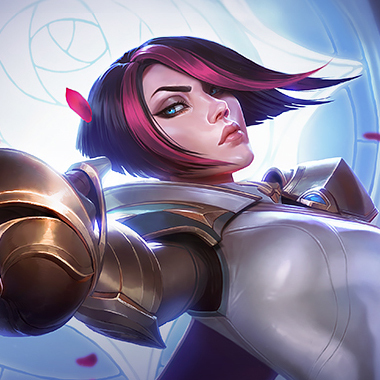 You haven’t tilted in the past few games, you’re getting smart advantages and your bot lane hasn’t fed yet. Suddenly you hear a series of pings directing you towards your base. You see the enemy Singed farming all three waves of minions. 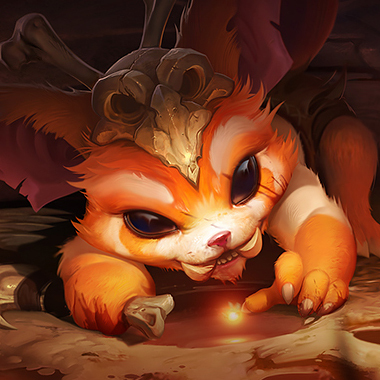 Without minions, the enemy mid lane and bot lane just decide to push. Youre call back grudgingly, knowing that you’re missing a good bit of farm top. When you arrive there, Singed has been leading around your jungler for a few seconds. As he sees you, he starts to laugh. This angers you and you charge at him, narrowly missing. Zooming around the base, he laughs obnoxiously as you start to catch up. Suddenly the tables have turned, and he runs out under your turret, with only a sliver of health left. As you chase him, you notice your health slowly dropping. It can’t be that bad, right? He’s just one hit away from being killed. Incredibly,he manages to run under another turret while surviving. Finally though, his speed boosts run out and you catch up.At the last second, you flash. He laughs, only to fling you over his head. You die. You later lose the game due to your jungler AFKing. 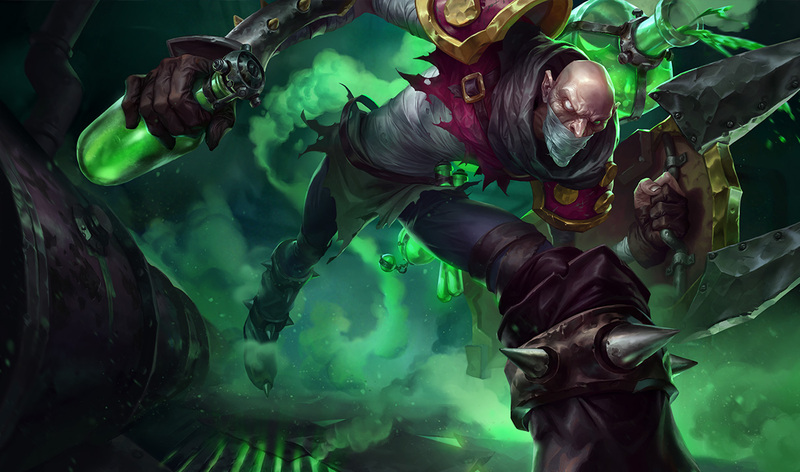 Singed is a very interesting tank who’s one of the few champs in the game who deals damage by running away from the enemy. If he reaches midgame without being shut down, he’s going to be a huge nuisance. In this guide, I’ll be explaining just how to catch this toxic Sonic. Singed gains bonus health equal to 25% of his maximum mana. 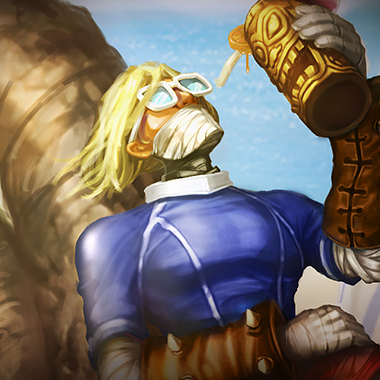 Singed leaves a trail of poison behind him which deals damage over time to any enemies who are standing in the poison. 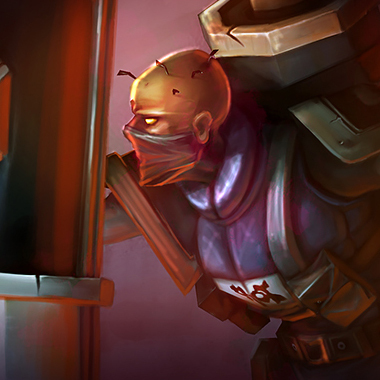 Singed covers an area with goo that slows all enemies in the area. Singed flings an enemy over his shoulder, dealing magic damage. If they land in Mega Adhesive, they are rooted. Singed gains ability power, armor, magic resistance, movement speed, health regeneration and mana regeneration for 25 seconds. 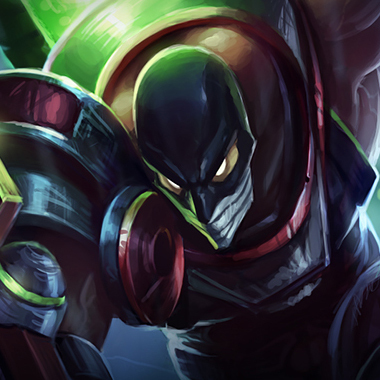 Number 1 rule of League: Never chase a Singed. 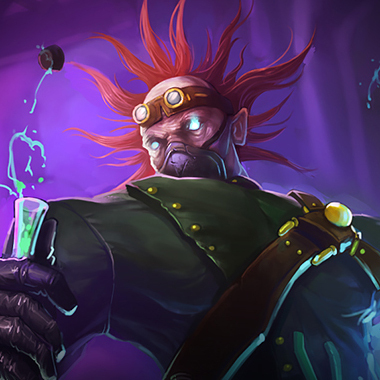 If Singed has his Mega Adhesive on the floor, he can fling you into it and root you in his poison. Try to keep at an angle where running straight at you would make him fling you away from the Adhesive. A classic tactic for Singed is to proxy farm: stand between your first and second tier turrets and farm minions by just running away from them. The best tactic in this case is to farm under turret if he does damage, or to ask your jungler for a gank and corner him. Singed always takes at least 2 people to kill when he’s proxying. 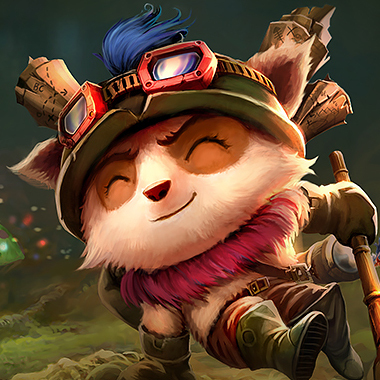 This means that he takes pressure away from hisbot lane. Make sure they can’t take dragon. If you’re low on health, Singed can tower dive surprisingly well with his ult on. Never push your lane once the first towers go down. He’ll just run you down. 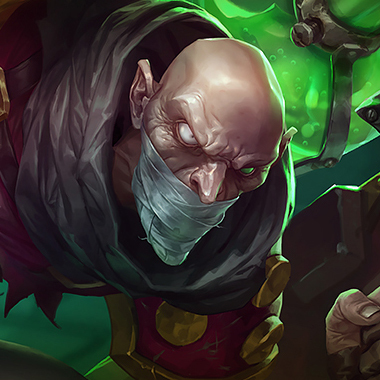 Singed has high mana costs in his early levels. Try trading at levels 1-5. It’s the point at which he’s weakest. You can harass him like crazy before level 6, stopping him from getting a tear on his first back. With your CC, you can stop him from proxy farming because he knows he won’t be able to get away. Just keep the lanefrozen near your turret. Whenever he comes in to farm, use your W on him and if he tries to run away, pull him back in. Build Hexdrinker first, then go tanky or finish off Maw depending on how the lane is going and if your other lanes are feeding. Harass him constantly with your basic attacks. You’re one of the champs who can actually match his running pace. Use your shrooms when walking back to lane to block off paths through your jungle so that if hestarts to proxy farm, you can come at him and he can’t get away. Be careful about taking minion aggro, because if he flings you into his minion wave and poison trail, it’ll take a huge chunk of your health. He wins late game, somake sure to dominate early. Build Nashor’s Tooth first. You can outtrade him in lane. If he tries to run away and you’ve hit a Q, you still have a decent chance ofcatching up with your multiple dashes. If he comes near, he’s likely to try to fling you, so use your W preemptively. Don’t chase him unless you’re much stronger or you have your ult, as he might turn the tables around. BuildRavenous Hydra first. Harass him in lane with your basic attacks. 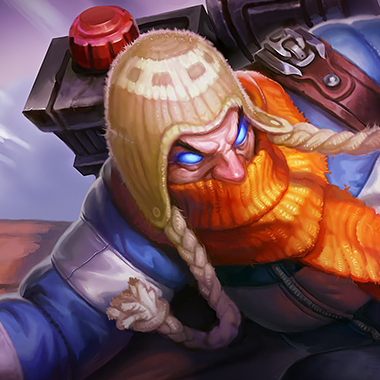 When he reaches level 6 and starts to proxy farm, just call your jungler in. Your high CC and good base damage should be enough to kill him. 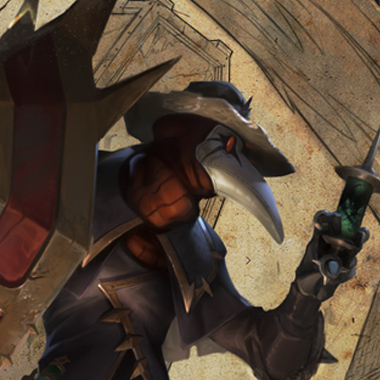 In the midgame, you’re going to be significantly more useful than him, as Singed isn’t good in teamfights. Save your teleport to go bot. Build Black Cleaver first. Singed does a lot of magic damage, so magic resistance is a good idea. In addition, Singed dies a lot, so items like Mejai’s mean you can get a lot of free stacks, especially if the Singed likes to proxy farm.